Pretend ice cream cart with horn, sign, and menu. 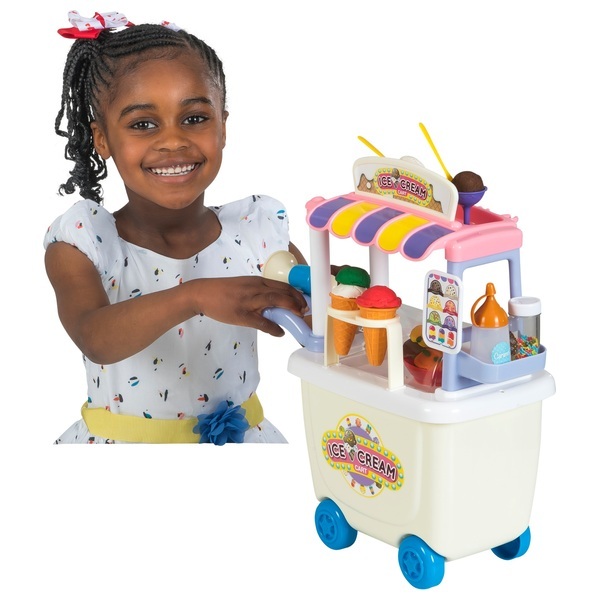 Little ones will love making pretend ice-cream with this Dough Ice Cream Cart Playset. It comes with all the accessories your little one will need to make dough ice cream.